Precise figures on BlackBerry Z10 sales are as unavailable and will likely remain so until until BlackBerry's (né Research In Motion) next quarterly financial disclosure. Still, a report on Thursday from FierceWireless had one-third of new BlackBerry 10 device sales coming from customers switching over from Android and iOS devices. "The other thing that kind of surprises us," Rick Costanzo, BlackBerry's executive vice president of global sales told FierceWireless, "is that of the sales we're getting, the percentage that are actually flipping over from other platforms onto BlackBerry 10 is a lot higher than we expected. We're actually getting roughly speaking about a third coming in from outside the BlackBerry community. 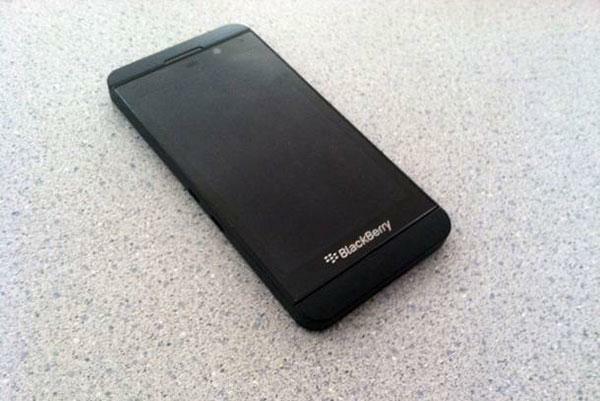 Another report from BGR on Friday put that figure at half of Z10 sales for the Canadian market. BGR claimed to have independently confirmed with several high-level BlackBerry executives that half of all Z10 sales in Canada came from platform switchers. BlackBerry has a sizable core group of devotees, but the prevailing wisdom has it that the company needs to greatly expand beyond that group if it wishes to remain a player in the smartphone segment. Such reasoning likely drove the decision to release the touchscreen-based Z10 ahead of the company's Q10 model, which also runs BlackBerry 10 but features BlackBerry's signature hardware QWERTY keyboard. Once a major player in the smartphone market, BlackBerry was caught off guard by the emergence and sudden popularity of Apple's touchscreen-based iPhone. Over several years, the company saw its market share plummet along with revenues as consumers and large organizations abandoned its platform for devices running iOS and Android. It is difficult to translate the news of iOS and Android converts into sales estimations for the Z10. Given that the two platforms account for roughly nine out of ten smartphones sold, the odds are that if someone had owned a smartphone before and bought a Z10, they would be coming from iOS or Android.